Finland is halfway round the world. For that reason alone it is a good idea to fly there. In a Turbo-Beaver in November. 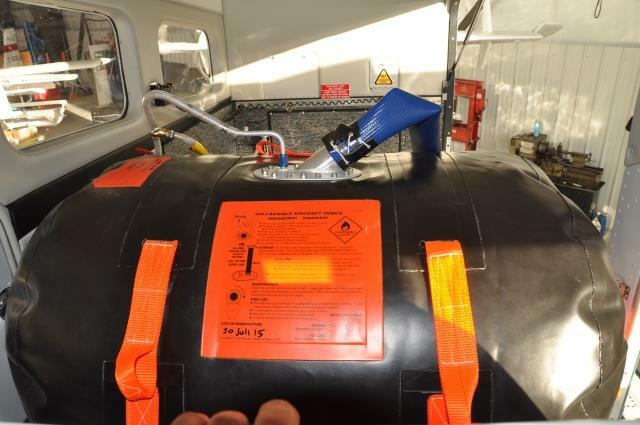 Keeping in mind that our crew believes in the adage that the most useless things in aviation are the altitude above you, the runway behind you and the fuel in the truck, we added a 100 gallon turtlepac fuel bladder. We also did a lot of work on the aircraft. It looks fantastic. The Alaska Door proved it's worth. Getting the fuel out of the truck and into the tank was surprisingly easy. The plane was fully loaded with John the pilot, Bill as co-pilot, the obligatory liferaft, the survival kit, the sleeping bags, and all the fuel. Almost everyone in the crew wanted to go along. C-FOEZ left this afternoon with a tentative route planned through northern Canada to Rankin Inlet, Iqaluit, Iceland, Greenland, Norway and Finland. How long will it take? Well John and Bill have been around long enough to know that other aviation adage, the one that says weather forecasts are horoscopes with numbers. They will get there when they can!